"Eventually everything connects - people, ideas, objects. The quality of the connections is the key to quality per se. I don't believe in this "gifted few" concept, just in people doing things they are really interested in doing. They have a way at getting good at whatever it is." Hi, I am Ryan Brownhill! I am a born and raised Texan, currently working in San Fransisco as a Product Designer at Facebook. Previously, I was at IBM Design working on The IBM Motion Design Language, and Watson. I am an alumni from the Savannah College of Art and Design. 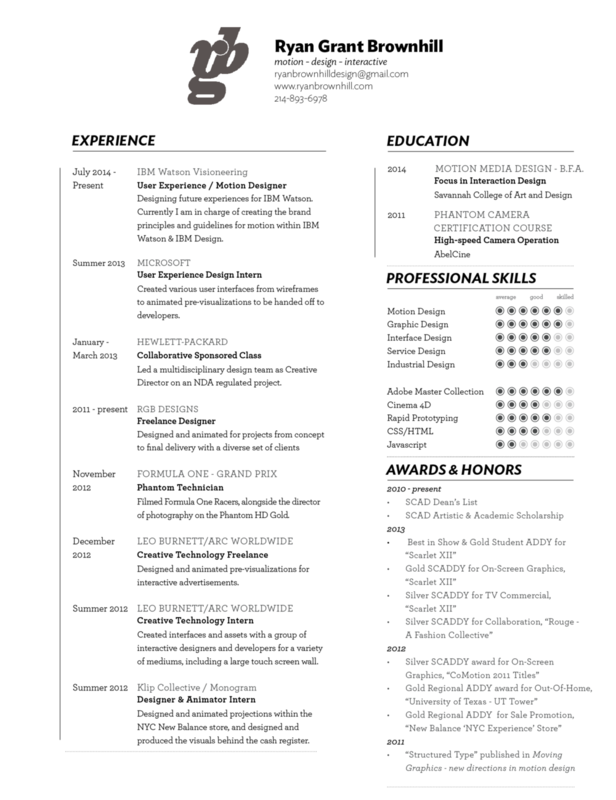 There I studied Motion Media Design with emphasis in Interaction and Service Design.